TOPIC: How can we make use of web2.0 and Social Media Technologies to promote youth Agribusiness Ventures? Technological innovation is taking place at a breath-taking pace. Simple, open source internet-based applications and services designed to enhance on-line collaboration are now available to the wider public at little or no cost at all. These new online technologies known as Web2.0 and Social Media applications enable people to collaborate, to create, share and publish information. According to FAO’s Rural Youth and Young Farmers report, opportunities for learning practical skills in agriculture, better rural living, and income-generating activities are extremely limited. For youth and young farmers, access to production resources, credit and employment is almost non-existent in most countries. This Agritech4Dev Global Twitter Chat will discuss and bring to the attention of Agribusiness Entrepreneurs the availability of web2.0 technologies and how they can be utilized to promote and market a youth-led Agribusiness Venture quickly, cheaply and efficiently. Today we have been able to train Amudat Secondary School Students how to signup and operate personal email accounts. A School of over 400 students, none of them has an email address. Though there some computers, students have no access as all computers broke down and there is no technician in the area to help them. This school is found in Karamoja which is over 400 miles from Kampala Capital city (Capital of Uganda). This is mostly a pastoral community and the only way this community can be helped is to be connected to the world wide web. Good enough, there is both G3 and G4 Internet network. Be Smart: Use Poken for Speed Networking, Collecting Business Cards and Digital Content. At the just concluded 2016 Global Entrepreneurship Summit at Stanford University, Silicon Valley, USA; networking was made smart. All the participants were given Poken Networking Tools simply to speed up their networking activities in a free and open environment. What is Poken Networking tool? : It is an interactive USB stick which glows when you touch it to someone else’s – just like exchanging a digital business card. This tool collects Digital Content and Contact information from say conference attendees, exhibitors, etc. This is what is really happening during our weekly Mobile Solar computer Class Training meetups for poor children attending school in rural communities here in Uganda. 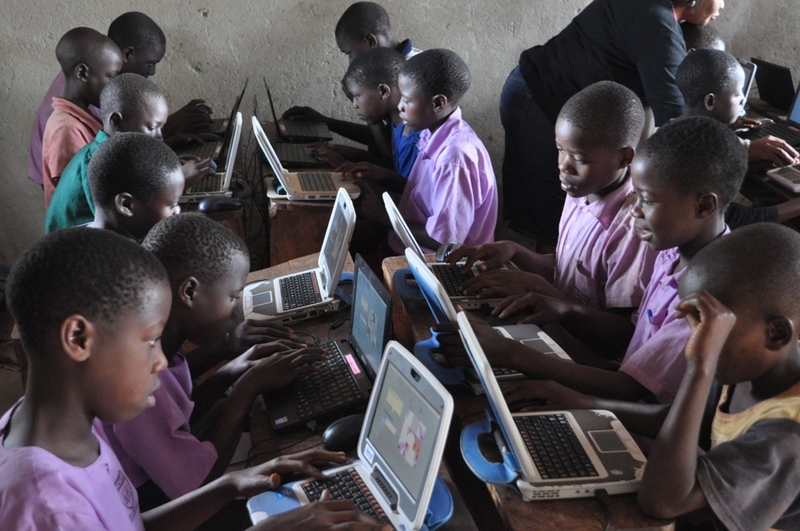 A possible sponsorship from Bluebonnet Hills Christian Church of Austin, Texas, USA is really making it possible for these poor children also have a chance to touch a computer; Thank you so much Bluebonnet for the continued support which enable us to reach over 100 children every week. 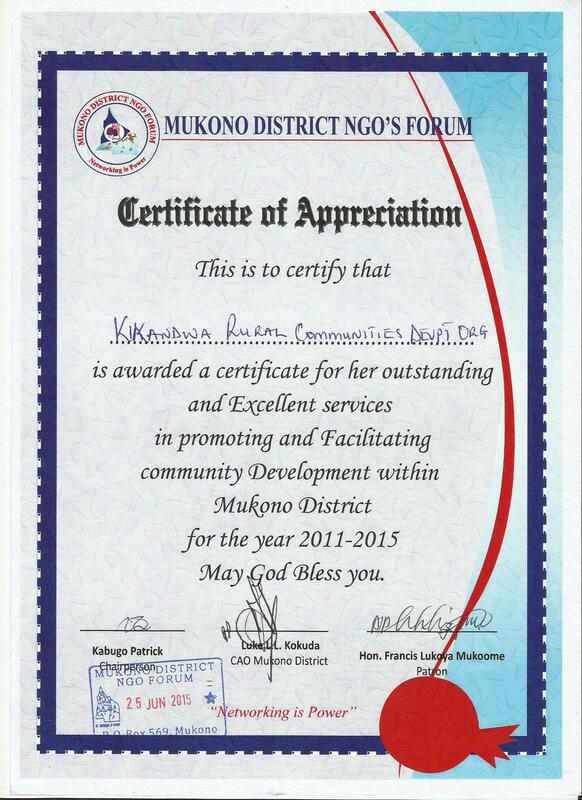 Today, Kikandwa Rural Communities Development Organization (KIRUCODO) has been appreciated by the Mukono District NGO Network for its Community Development Projects. This could not be so possible without the Support of all of you our Partners, Volunteers and Friends. We appreciate so much all your continued Support towards our Organization and God Bless you all. Pupils from Kikandwa and Kibiribiri Church of Uganda Primary Schools, in Kyampisi Sub-County, Mukono District Uganda are the current beneficialies of Bluebonnet Hills Christian Church Sponsored-NetSquared-Uganda Poor Rural Schools Computer Training Meetup. The children testified about the computer lessons currently conducted in their school by a KIRUCODO contracted local partner called Maendeleo Foundation Uganda who utilizes Mobile solar-powered computer technology classes to reach out to poor rural schools which have no access to computer services due to lack of electricity.